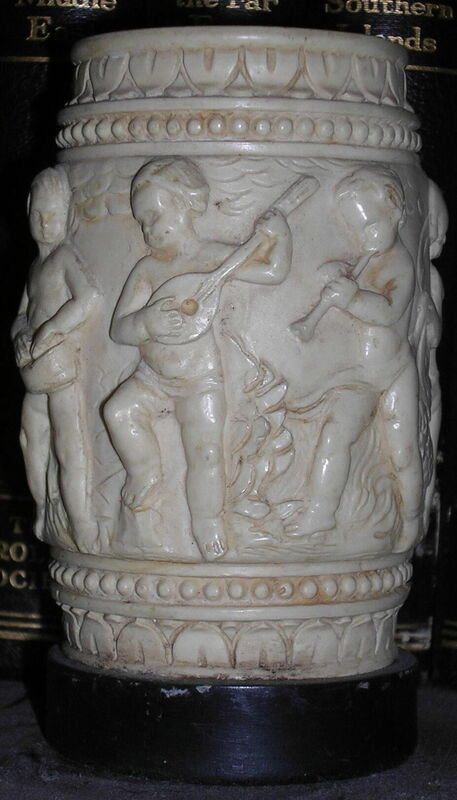 This is a beautiful carved Classical Greek style urn carved from Elephant Ivory. 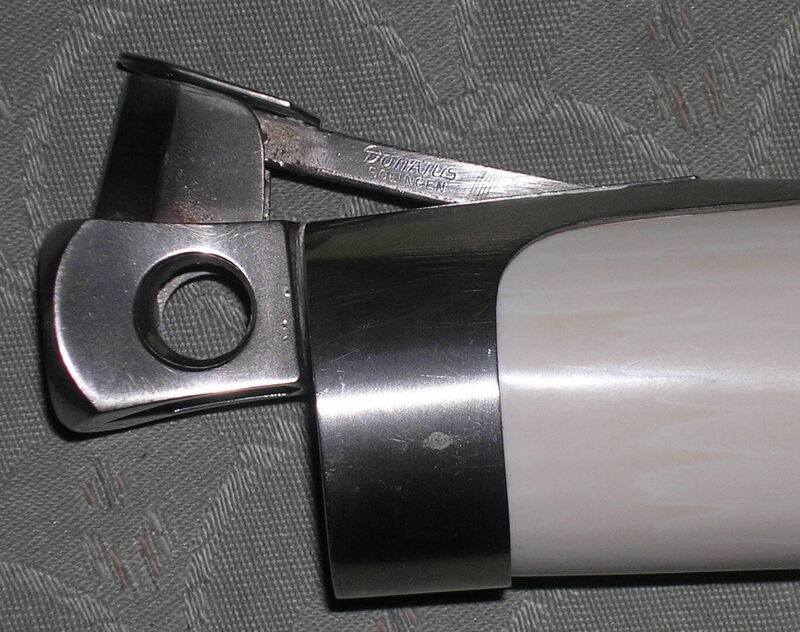 This is a magnificent Cigar cutter made from Ivory. 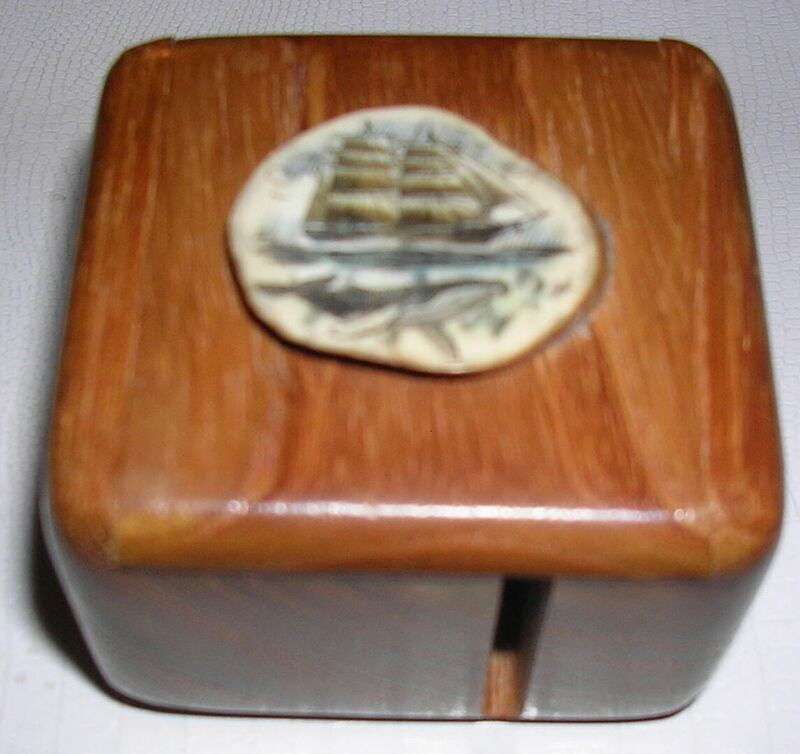 TThis is a very nice wood and Ivory stamp dispenser with an whale and ship scrimshaw on top. 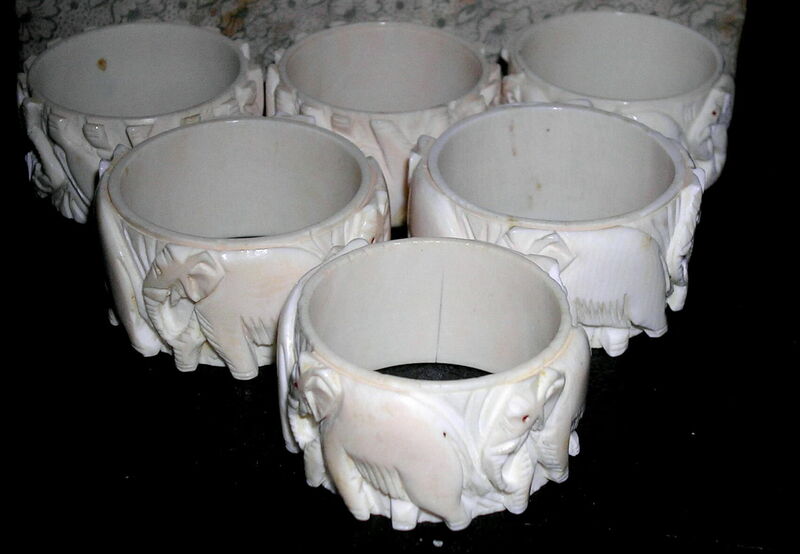 This is a beautiful set of six napkin rings set with semi precious stones as eyes carved from Elephant Ivory. 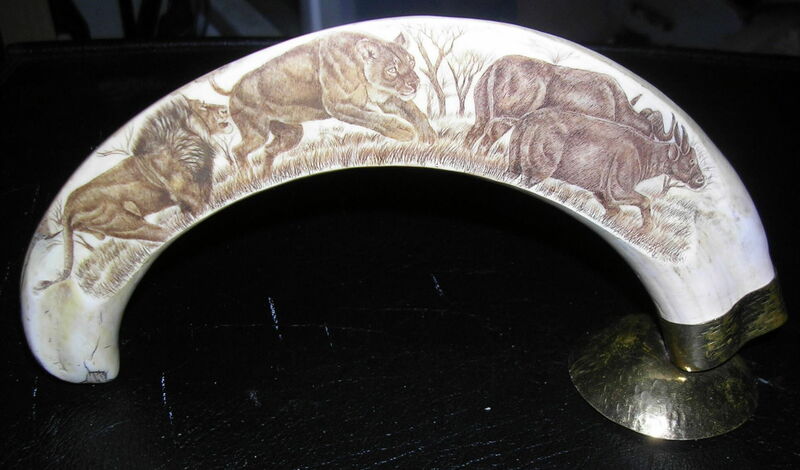 This is a beautiful scrimshawed bores tusk bearing an scene of Lions hunting Cape Buffalo. 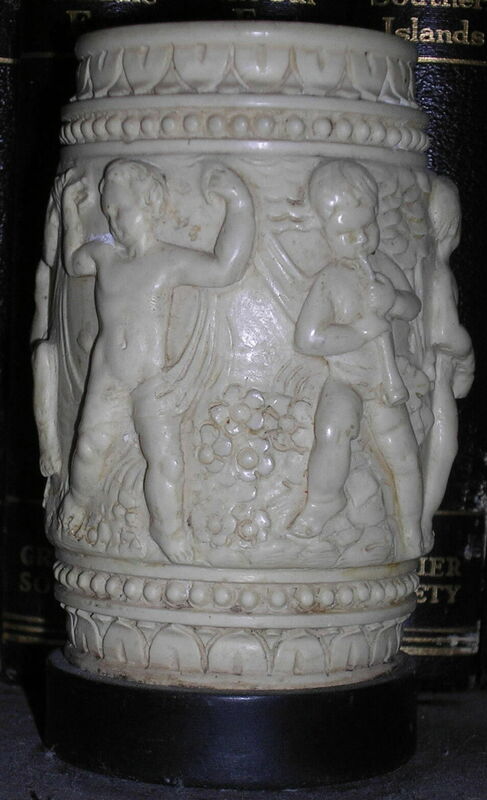 The tusk stands almost 4 1/2" tall by 8" wide. 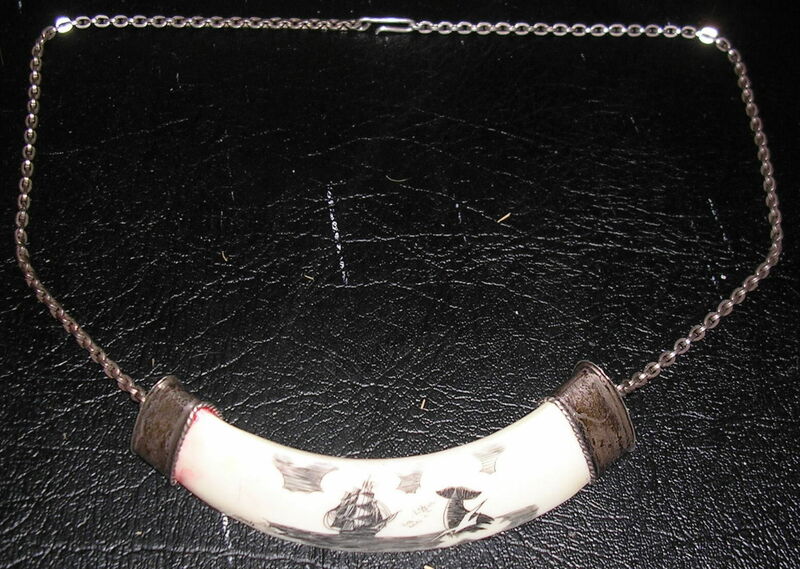 This is a truly unique Ivory and Sterling Silver necklace with a scrimshawed Whalers Hunting scene on it. 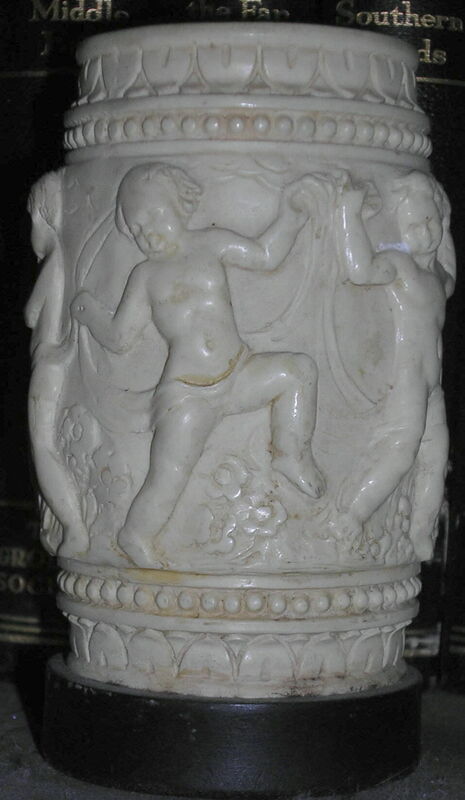 It is marked sterling. 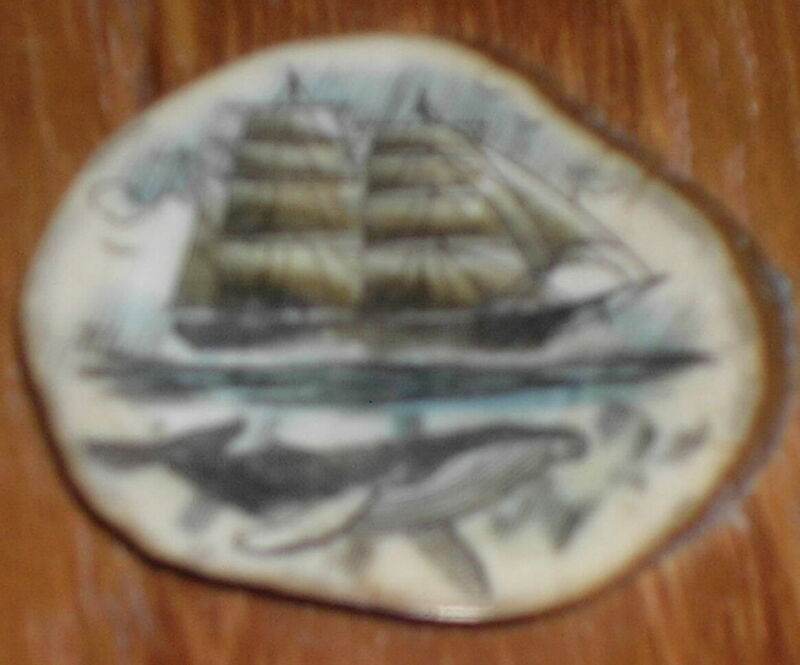 Approximately "
This is a very nice carved Ivory Whales Tail scrimshawed with a whale and old sailing ship. 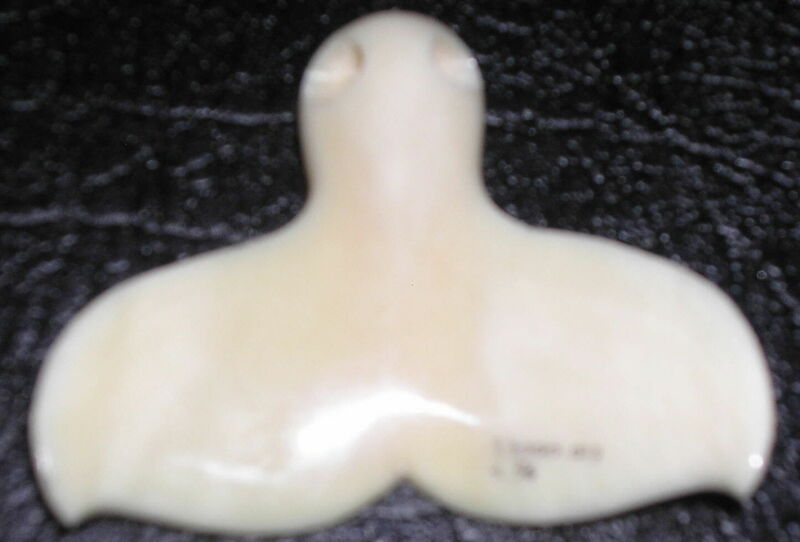 It has a hole though the top to be worn around the neck. 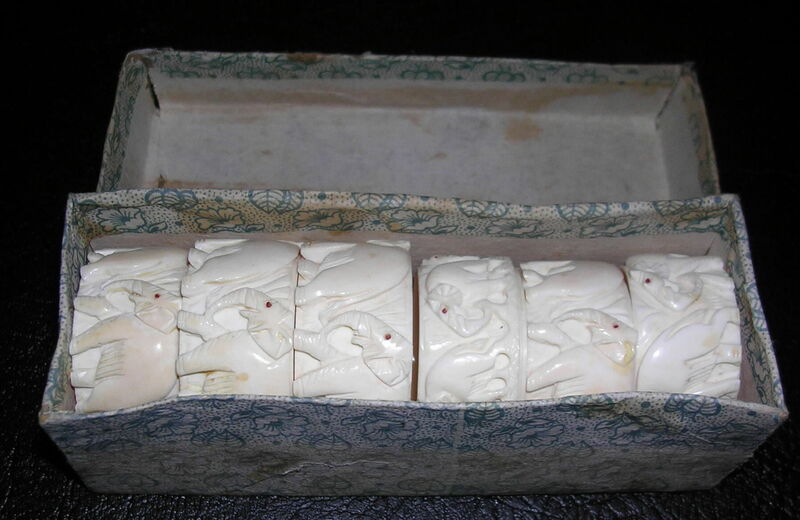 A beautiful vintage elephant carved in Ivory set in 14k gold. 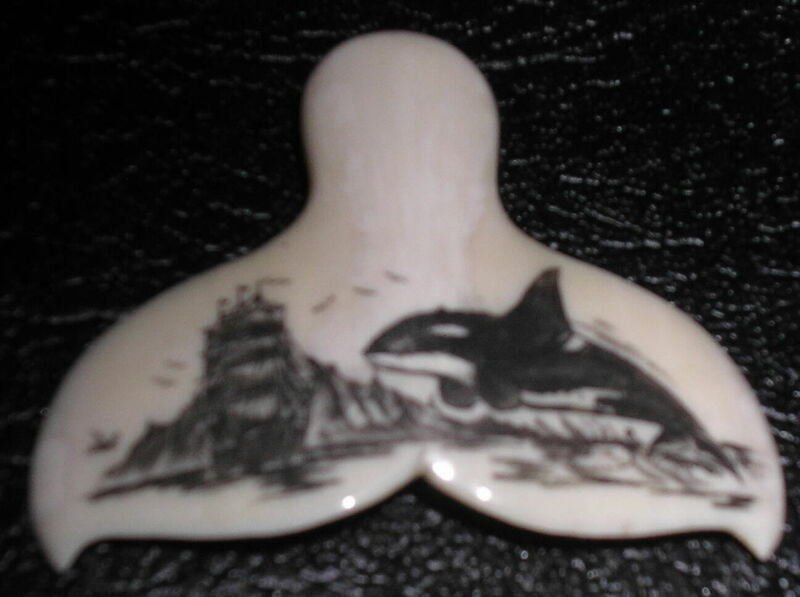 A beautiful ivory bead strung necklace.